Scott is the director of Wise Physical Therapy and Sports Medicine, LLC. His primary responsibility and focus is patient care, although he oversees all facets of the operation. Scott earned his B.S. and D.P.T. degrees from Slippery Rock University. He focuses on treatment of athletic injuries through many different approaches, including active and passive rehabilitation, sports performance testing and concussion screening/management. 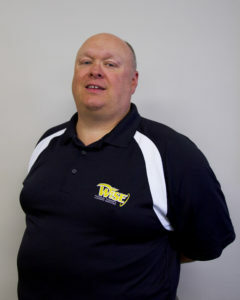 Scott also owns and directs Elite Sports and Spine Physical Therapy, located in New Castle, PA. Scott worked at United Community Hospital and Grove City Physical Therapy before establishing Wise Physical Therapy and Sports Medicine in October 1995. Scott is also very active in the community. He has been a Pine Township Supervisor, President of the 79-80 Interstate Development Corporation, and has been appointed to the Economic Development Authority of Springfield Township. Scott is a life long Grove City resident. He and his wife, Janet, have three children: Brandon, Megan, and Nancy.